The benifits of becoming a SmogTips.com™ member smog station. 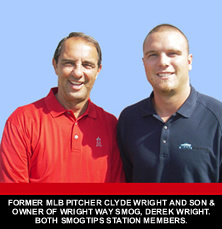 Industry Leader - SmogTips.com is California's leading smog check resource, trusted by vehicle owners since 2001. With referrals from over 1000 internet sources including the South Coast Air Quality Management District (AQMD) and Edmunds.com®. 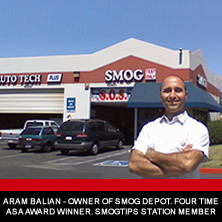 Recognized Brand - More Californians trust SmogTips certified smog stations than any other brand in the industry with over 100,000 vehicle owners assisted with their smog tests and repairs every month. Top Ranking - We offer placement in top ranking positions on the web including Google.com and BING.com with 12,000,000+ hits/month on an easy-to-use mobile, tablet and desktop platform. No Risk Trials - Free 30-day ads available in certain cities. No risk. No strings attached. We'll let our marketing speak for itself. Super Low Cost - Membership costs as low as $99.95 mo. No Pay-Per-Click fees. No contracts. Simple sign-up. Hands down the best ROI when it comes to smog station advertising online and off. Free Google Places Listing - We provide free Google Places listing and management with every membership. Ensure top placement on Google Maps and 1st page search results. If you're smog station owner interested in advertising your smog check business join our team of smog check leaders today. We offer result generating advertising opportunities to reputable local and regional automotive industry, smog check, smog check repair, and smog test only center business owners. STAR Smog Program qualified shop owners are encouraged to apply. 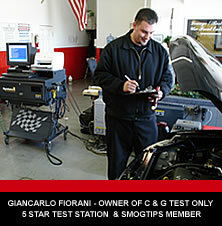 Join the leading team in smog check support. Contact us by calling 1-818-764-3400 or by using the form below. other vehicle owners. No personal information is published.